Blue Bottle Coffee is a popular chain of coffee shops in San Francisco. They really know their coffee here. They have lots of cool coffee makers in the store like chemex makers, cold brew filters, and siphon coffee makers. The location I visited was pretty small, but cute. I wish I could have stayed in the store to take advantage of their cool coffee gadgets, but my Mom and I were on our way to breakfast, so I needed something that I could just drink on the run. I had a New Orleans iced coffee. They make this drink with coffee that is cold brewed for 18 hours and infused with roasted chicory and organic cane sugar. The result is a coffee that is slightly sweet with a hint of spice flavour. They normally use whole milk, but I had soy milk instead and it was very creamy. I loved my iced coffee and I wish I had the chance to visit Blue Bottle Coffee a couple more times. The ambiance of the store is cute and I like how they have more unique drink options than just your regular old Starbucks. 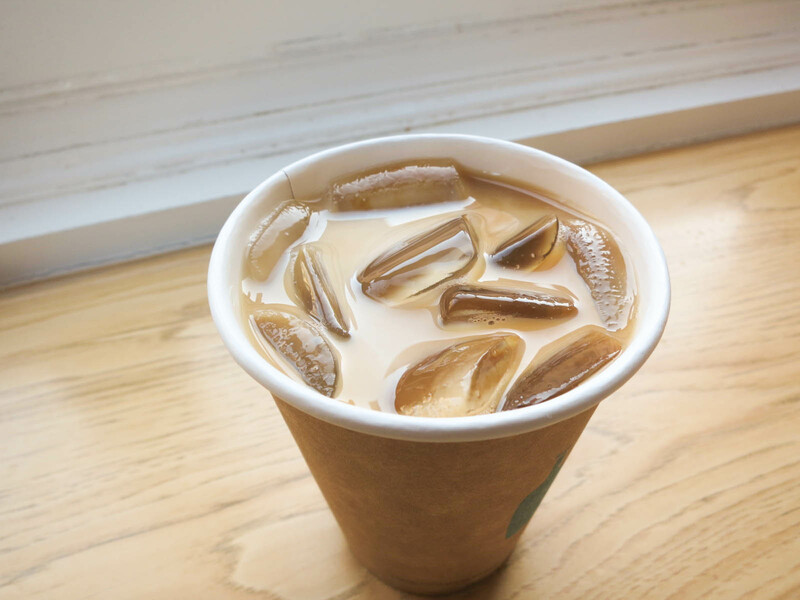 Yes, for a great iced coffee. Yes. I also heard this about this coffee shop, ” Blue bottle coffee”. It is really good. I want to visit there. Thanks for the post.